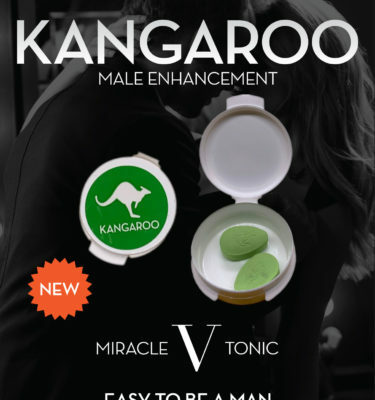 Kangaroo’s premium blend has been scientifically designed for men to increase sexual pleasure and performance. 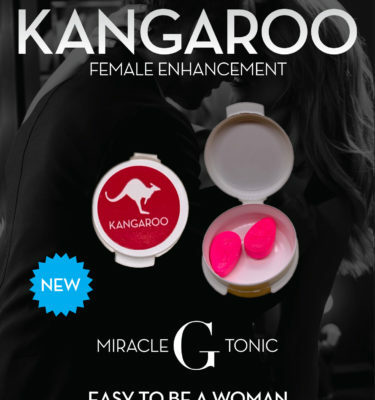 Kangaroo is formulated to promote better sexual activity. Take 1/2 tablet (based on weight and your Metabolism) as a nutritional supplment for women or as directed 20 minutes prior to sexual activity. Drink at least 16 ounces of water when taking the tablet. Effects are activated when physical stimulation occurs and can last up to 36 hours. 36 – 72 hours. Effects for each woman may different be aware of your body. Use only as directed. Do not take this product if you have consumed any other medications within the last 12 hours. Do not use this product if you have serious medical condition or use prescription medications, particularly if the contain nitrates. Do not use this product if you have a heart condition or high blood pressure. Discontinue use of this product if you have signs of shortness of breath. L-Lysine, Ginseng Extract, Gink Biloba, Leaf Extract, L-Arginine, Green Tea, Chinese Aweto, Titan Shan Xue Lion, Icarlin, Snow Lotus Flower. These statements have not been evaluated by the FDA. This product is not intended to diagnose, treat, cure or prevent and disease.